This dessert doesn’t last long at our house! This is really easy to make and is always a hit at parties. This dessert doesn't last long at our house! This is really easy to make and is always a hit at parties. Crush the Oreo cookies and line them in the bottom of a 9 x 13 inch pan. Soften ice cream slightly. 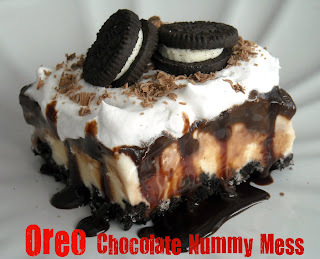 Slice the ice cream and lay on top of the Oreos. 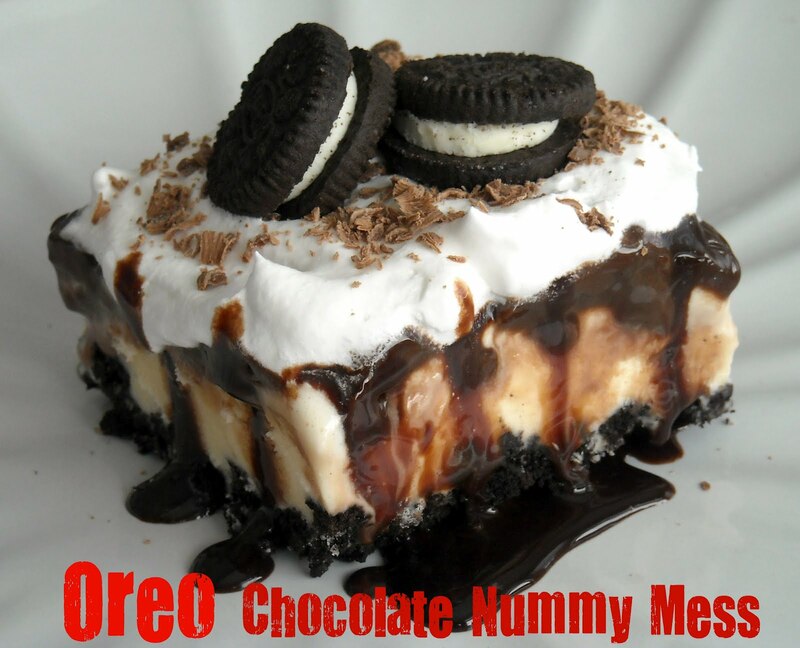 Let it soften a little more so you can carefully spread it evenly over the Oreos. Then place in freezer for about 40 minutes. Remove from freezer and drizzle melted hot fudge over the ice cream. Freeze again for 20 minutes. Remove from freezer and cover with Cool Whip and sprinkle grated Hershey Bar over the top. Top each piece with a mini-Oreo. Hi there girls, I'm a mini schnauzer mum from Adelaide , Australia who has just started my little crafting, cooking blog......and I'm intimidated by joining yours with 5175 other followers!! Whew. I'm going to have fun reading your blog and the recipes which I've been drooling over look amazing! Love! Super easy and looks sooooo yummy. Thanks for the recipe...my kids will surely be thanking you this week too. Ha! I can see why it's always a hit. It would be here too! This looks SO good. I saw this Craft-O-Maniac and just had to click on it. It looks like a whole lot of yummy goodness. Oh wow.... looks utterly scrumptious! I would have never anticipated it being so easy, with how gooey-delicious it looks!